The Virgo New Moon is an Annular Solar Eclipse! It happens on September 1, 2016, at 2:03 am MST/PDT at 9 Virgo 21 minutes. Here’s the chart: VirgoNewMoonSolarEclipse2016. Solar Eclipses are super charged New Moons that powerfully energize the astrological degree at which they occur for up to six months or more — far longer than the usual month-long period of influence that typically unfolds with each New Moon. The path of this eclipse begins in the Eastern Atlantic Ocean off the West Central coast of Africa, and moves over Gabon, Congo, The Democratic Republic of Congo, along the border between Tanzania and Zambia, and then finally over Mozambique and Madagascar ending in the Indian Ocean. Accordingly, we can expect significant events to occur in these countries over the coming months. This morning’s news has already reported violent protests amid accusations of a ‘stolen’ Presidential election in Gabon. This eclipse highlights 9 degrees Virgo. Archetypally, Virgo is concerned with physical and spiritual healing of the mind, body and spirit. This process typically manifests through, and is facilitated by, crises. Virgo also teaches humility and service as this sign’s evolutionary trajectory points to Pisces, the sign of natural spiritual development. 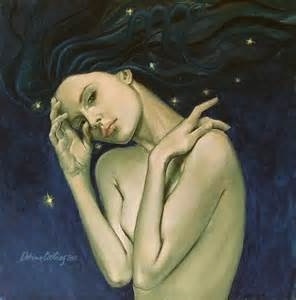 Esoterically, Virgo also symbolizes the Divine Feminine or The Divine Mother and the principle of nurturing. Indeed, in ancient times, Virgo was the sign associated with the Goddess. On a more mundane level, Virgo rules workers and work places, apprenticeship, health matters and health care systems and our domestic animal companions. Virgo is also connected to the natural world and the environment. As an Earth sign, Virgo expresses the Divine Feminine as ‘Mother Earth’ or what is known as ‘Gaia.’ ALL these matters will be energized by this New Moon and Solar Eclipse becoming prominent issues for the next six months, both individually and collectively. Virgo is a ‘transitional’ archetype that reflects a shift from the personal to the collective. It bridges each Soul’s natural evolutionary development process as it transitions from the instinctive self-discovery and creative self-actualization symbolized by the signs Aries through Leo, to the necessary changes and adjustments that must be made in preparation for entering into the world of relationships with others as an equal which is symbolized by the signs Libra through Pisces. These necessary changes and adjustments include both the stripping away of Leo’s ego-centric delusions of grandeur and self-focus, as well as the healing of Virgo’s psychology of inferiority, due to man-made religious conditioning, that manifests through relentless self-criticism, self-judgment and feelings of unworthiness because it’s not perfect. As these necessary personal changes and adjustments occur, Virgo heals and humbles itself, evolving into a servant of the Divine Source that created it. Ultimately, Virgo embraces its dharma or the ‘path of right work’ that allows Spirit to direct its life in service to the health and well-being of the whole of humanity. This final evolutionary leap into divine service reflects the essence of Pisces, the sign associated with spirituality and Universal Wholeness. As Virgo evolves through Pisces, it’s opposite sign, it must inevitably heal the lie of ‘separation’ from God and the delusional and destructive doctrine of ‘original sin’ and the associated need to experience punishment and suffering to atone for imperfections. Virgo often works through crises. This New Moon Solar Eclipse celestial pattern will serve to bring unresolved crises to light revealing the distortions and deceptions that have led to their creation. For example, the denial of the nearly universal agreement among leading scientists that fossil fuels are a destructive energy source has led to the crisis of climate change and the extreme weather events associated with it. This New Moon Eclipse pattern indicates an increasing urgency and frequency of catastrophic climate events. Another example is the distorted Patriarchal mind-set of male dominance and superiority – over women, minorities and the natural world. This false belief continues to manifest as hate, through misogyny and racism, which has for centuries led to violence and war, and more recently to devastating worldwide environmental degradation. 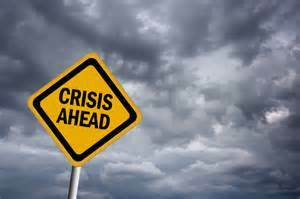 Crises serve a natural purpose in our evolutionary process. They alert us to the fact that something is awry. Crises always reveal either a mis-alignment with, or a distortion of, reality. They also reveal the fact that necessary changes and adjustments are required in order to successfully resolve or heal the crises. This New Moon in Virgo is a VERY LOUD WAKE-UP CALL TO GET REAL and to get moving in new directions; to face problems and fix what’s no longer working in our world before its too late. Mercury is the planetary ruler of Virgo and therefore is the ruler of this New Moon and Solar Eclipse. Mercury is extremely powerful right now as it JUST turned retrograde. It is essentially stationary in the New Moon chart pattern, or appearing to be standing still in the heavens. When planets are stationary, they are very powerful! Mercury began this retrograde period August 30th at the 29th or final degree of Virgo. It will back up to 14 degrees Virgo, or the mid-point within the sign, on September 21st. Analysis, particularly self-analysis, is a natural gift and ability intrinsic to Virgo. This Mercury retrograde is reflecting the need for deep reflection, review and analysis of the FACTS of crisis situations and the REALITY underpinning those circumstances. Thorough analysis will lead to discernment about what’s accurate, true and real, and what’s inaccurate, untrue and unreal. In turn, this will lead to the knowledge and understanding of precisely WHAT changes and adjustments must be made to successfully resolve problems. Mercury retrograde symbolizes the need to go back and thoroughly review what’s wrong so we can eventually move forward and make it right. Indeed, efforts to rush ahead and act now will almost certainly be met with delays, frustration and confusion, resulting in costly mistakes. Adequate due diligence now will lead to success later. The Sun, Moon and retrograde Mercury are not alone in Virgo now. They’re joined by Jupiter, which is finishing up its year long passage through the sign that began last August, and by the Moon’s North Node. Altogether, there are currently five planets/points in Virgo. Three or more planets or points in the same sign are called a ‘stellium.’ The word stellium is derived from the root ‘stella’ which means ‘star.’ Stelliums reflect a great emphasis on the archetypal issues associated with the sign in which they occur. In Virgo, global and personal CRISES will be front and center, grabbing headlines and grabbing our attention! T-Squares are comprised of at least three planets. Two are opposite one another (180 degrees apart) while also being simultaneously square (90 degrees apart) a third planet. Jupiter in Virgo has been opposite Neptune in Pisces. Both have been square Saturn in Sagittarius. This T-Square symbolizes both conscious and unconsciously held beliefs and the need to deeply question ALL beliefs in order to evolve to a higher understanding of truths. How have your own beliefs or opinions, things you have always been certain about, been challenged over the past year? 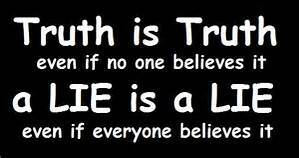 What have you always thought to be true that is perhaps now in question? This confusion should not be a cause for concern. The very nature and purpose of this T-Square has been to dissolve old consciousness structures and the false or distorted beliefs that underpin them. Since consciousness creates reality, it stands to reason that false beliefs are going to lead to the creation of false or distorted realities. Some of the most destructive false beliefs that must CHANGE if we are to resolve the many crises we face have come from the distorted Patriarchal religious teachings that men are superior to women, humans are superior to animals and man has ‘dominion’ over nature. The word ‘dominion’ is a distortion of the intended concept of ‘stewardship.’ Stewardship means to manage and care for; dominion, often coupled with the word ‘over’ means to control or have superiority over. 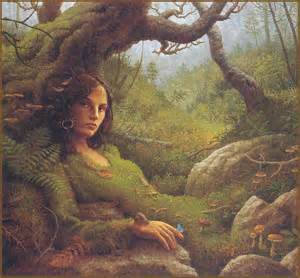 The natural world, or nature, is the quintessential manifestation of the Divine Feminine principle. She nurtures and sustains all life. Suppression, oppression, denigration and control of women have resulted in the extreme imbalances that are contributing to the destruction of life on our planet. This Virgo New Moon and Solar Eclipse reflect the NEED TO HEAL THE WOUNDS OF THE FEMININE. This is a prerequisite to the restoration of balance between genders, races, species and nations that will allow for the healing of our planet. The North Node ALWAYS points the way forward on our evolutionary path. In Virgo, the North Node reinforces the need to face reality squarely. Maintaining the status quo simply will not get us to where we need to go. In fact, the current status quo – in governments, business, politics, economics and the environment – are no longer functioning effectively. Virgo ALWAYS requires personal effort. And while Virgo never insists on perfection, in fact Virgo teaches that perfection is an illusion, this sign does require that we do the work, make the effort, and sincerely do our best, each and every day. What do YOU need to do to improve your life circumstances? The most important aspect Mercury retrograde is making in the New Moon Solar Eclipse chart is a conjunction (0 degrees apart) to Jupiter in Virgo. Mercury and Jupiter are a natural planetary pair. This is because they rule signs that are naturally opposite one another in the zodiac, namely, Gemini and Sagittarius. Mercury rules Gemini and together, they rule the left brain. Jupiter rules Sagittarius and together they rule the right brain. The left brain logically processes information received through our five physical senses. Left brain thinking is linear and deductive. 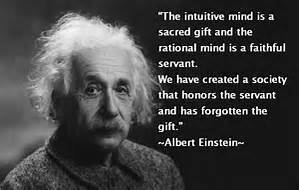 The right brain processes information received intuitively through metaphysical (beyond physical) sources. Right brain information is wholistic, abstract and conceptual. Left brain is language based, right brain is image based. Left brain is limited; right brain is unlimited. Due to its current retrograde, Mercury and Jupiter will align precisely three times before, during and after the retrograde period. The first two conjunctions occur in Virgo at 26 and 28 degrees on August 22nd and September 2nd respectively. The third and final conjunction will happen after Jupiter has changed signs. It will occur in Libra at 11 degrees on October 11th. The evolutionary purpose of ALL Mercury retrogrades is to encourage greater balance between our left and right brain, increasing WHOLE BRAIN thought processing. This is especially needed in Western cultures that are biased almost exclusively toward left brain thinking. They exalt logic and impugn intuition. Interestingly, the left brain is masculine while the right brain is feminine in nature. The fact that this Mercury retrograde period has Mercury and Jupiter precisely connecting three times reflects the potential for quantum leaps forward in human consciousness. 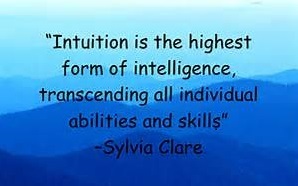 It portends increasing intuition, heightened awareness, revelatory insights and greater understanding of higher and higher levels of truth. Together, Mercury and Jupiter reflect the possibility of discoveries, solutions and breakthroughs. This is the stuff of amazing AHA moments! For those ‘doing the work’ and paying attention to ALL the information received, no matter what the source is, this Mercury retrograde period, and by extension this entire New Moon Solar Eclipse time frame, promises great evolutionary progress. This is because the precise information, knowledge and understanding needed for personal and collective evolution will be provided. SO PAY ATTENTION! HONOR ALL OF THE INFORMATION THAT COMES TO YOU, AND THEN ACT UPON THAT INFORMATION AND GUIDANCE! Mercury retrograde in Virgo is also inconjunct both retrograde Uranus in Aries and retrograde Pallas Athena in Aquarius. Together, these three planets form a unique planetary configuration called a ‘YOD.’ Yods always reflect a spiritual evolutionary imperative. Uranus in Aries (2010 to 2018) represents the instinctive and revolutionary impulse to move in new directions and create new social structures, realities and paradigms. Pallas Athena is an asteroid associated with the arts, culture, healing and politics. This YOD suggests the need for breakthroughs in all of these issues. Politics the world over are in disarray from the Middle East, to Central Africa, to Honduras, Brazil, Europe and right here in the United States. Certainly, the current US Presidential election is revealing the utter dysfunction and corruption of both the Democratic and Republican political parties. Third parties are desperately vying for greater recognition even as the old political system continues to try to shut them out. Although this election season has already been described as ‘unconventional,’ breaking all the rules of normal political campaign orthodoxy, this YOD represents the likelihood of even more surprises, disruptions and unexpected events before November 8th! This will be right and proper however since it is time to make necessary changes and adjustments to what’s no longer working. And clearly, politics in America are no longer working! Mercury retrograde is also opposite retrograde Chiron in Pisces. This opposition is the central aspect of the Pisces Full Moon Lunar Eclipse on September 16th and symbolizes a time for healing CHOICES. It reflects the need to let go of victim consciousness that has carried the psycho-spiritual wounds of man-made religions for thousands of years. These false teachings have conditioned us to believe we’re powerless, inherently sinful and deserving of pain, punishment and suffering. ALL HUMAN BEINGS POSSESS POWER. This is reflected in the capacity to make FREE WILL CHOICES which not only create our realities and experiences, but also naturally facilitate our personal evolution. Nothing can heal from a consciousness rooted in victimization. This is because victims don’t see themselves as responsible for co-creating the circumstances that caused the wounds. Remember, consciousness creates reality. If you experienced something, your own consciousness played a role in co-creating it. Without ownership of responsibility, there is no impetus for making the necessary personal changes and adjustments that will transform consciousness. As a result, the same wounding realities will continue to be co-created. Transformation in consciousness often begins with a shift in the focus of thoughts from WHAT has happened (that created the wound), to WHY it happened. Seek to understand your Soul’s purpose in co-creating such an experience and what lessons were intended in support of your evolutionary growth. Ask, “Why would my Soul see fit to have me experience such an event?” What did you learn and how might that lesson actually support your Soul’s evolutionary growth intentions? The risk and danger in this Full Moon Lunar Eclipse is the possibility of re-imprinting the same old wounds and falling ever deeper into melancholy and depression due to continuing feelings of powerlessness. With Virgo and Pisces activated, these wounds may exist on any level including physical, emotional, mental or spiritual. Since Virgo/Pisces reflect the Mind-Body-Spirit connection, one of the oldest collective human wounds is based upon the false religious teaching that there is an inherent conflict between Spirit and Matter. This teaching posits that Spirit, which is associated with the Divine, is masculine, and Matter, which is associated with the physical senses and the flesh, is feminine. This distortion of truth has led to the denigration of women and all things feminine, including the natural world, for millenia. Humanity’s healing requires the healing of the feminine or the anima — in both genders. Pisces is always offering Divine guidance to those who sincerely seek it. Chiron symbolizes BOTH wounds and the healing of wounds. So if you find yourself in this place of despair and confusion, simply ASK FOR HELP. And then TRUST AND BELIEVE that it will be delivered. Meantime, do your best to let go of the false belief that you are powerless to make changes in your life that will improve unsatisfactory realities. Use this energy to heal old wounds! 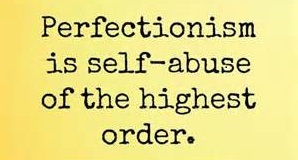 Years ago I came across the phrase, “Perfection Paralysis.” It describes Virgo’s fear of judgment and punishment due to imperfection. This fear can often be so extreme, albeit often unconsciously, that it prevents Virgo from ever getting started in the first place. Of course this renders Virgo unable to move forward or make any progress at all. Indeed this fear accounts for the Virgo tendency towards procrastination, avoidance and denial. When these behaviors take over, Virgo typically embraces the downside of Pisces in an effort to cope by escaping painful realities. Escapism often manifests as substance abuse and addiction, workaholism, chronic illness and the constant co-creation of one crisis after another in an effort to very effectively distract the self from itself! The Sun opposite retrograde Neptune in Pisces and square both Mars and Saturn in Sagittarius poses a real danger now with such behaviors especially through drugs and alcohol, deceptions and fraudulent activities. These are very likely to lead to severe losses and harm so be particularly mindful and choose accordingly. 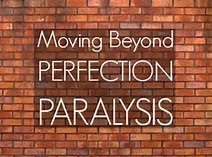 The antidote to Perfection Paralysis is to move forward ONE STEP AT A TIME! Virgo eventually learns that in order to improve, it needs only to figure out what the NEXT step is (not ALL the steps beforehand). In doing so, Virgo will come to realize that the second step doesn’t reveal itself until after the first step is taken. And the third step will become clear only after the second step is taken and so on. By taking one step at a time, Virgo is able to prevent itself from being paralyzed by the fear of making a mistake because it doesn’t yet know exactly what its doing or how to do it, particularly when the task is unfamiliar or new. Along the way, Virgo becomes tolerant, forgiving and compassionate with itself. Ultimately, Virgo achieves self-improvement, healing and spiritual evolution. Another very important planetary event occurs this month. Pluto stations direct September 26th, resuming forward motion in the heavens once again after being retrograde since April 18th. For the last five months, Pluto retrograde has symbolized a collective reflection upon outer realities. Moving through Capricorn, the sign associated with authority, responsibility, societies and social structures like governments, this review has brought increasing awareness of what’s not working in our world. As already mentioned, it is utterly necessary to assume full responsibility for having co-created the realities we experience before we can effectively change those realities. Fortunately, the Sun and Moon in the Virgo New Moon Solar Eclipse chart are most favorably connected to Pluto. For those who have been taking responsibility for their choices and actions and making the effort to heal and improve, this Sun/Pluto connection will bring rewards. Promotions at work, recognition for achievements by your community or colleagues, or simply increased confidence and personal pride in accomplishments are likely to occur. This planetary connection can also manifest through responsible actions taken by those in authority like government officials or business leaders. However this unfolds, it will provide excellent examples of how responsibility reaps rewards. This Virgo New Moon Solar Eclipse offers opportunities to heal and improve. A mentor of mine used to say, “People don’t change until the pain level gets high enough.” For so many, the pain level now is unbearable. It’s time to change. It’s time to heal. 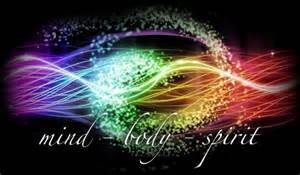 It’s time to recognize the TRUTH that all things are connected including our minds, bodies and Spirits. In truth, they have never been separate, nor have we – from the Divine Source that created us, from one another, or from the natural world that sustains us. The Libra New Moon is on September 30th at 5:11 pm MST! This entry was posted in Planetary Events and tagged Divine Feminine, Goddess, Spirit. Bookmark the permalink.